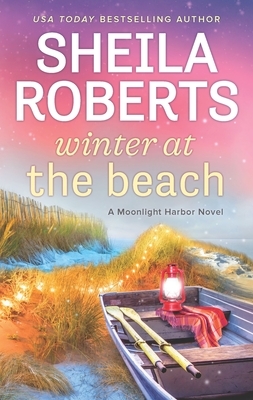 USA TODAY bestselling author Sheila Roberts takes readers on a wintry trip to the harbor in her latest holiday novel...The town of Moonlight Harbor needs to convince tourists that the beach is still the place to be--even when the sunshine goes south for the winter. Jenna Jones, new proprietor of The Driftwood Inn, has the perfect idea: a holiday festival called Seaside with Santa.Jenna is happy to throw herself into planning the event. With all the decorating, preparation and extra reservations at the inn because of the festival--and with two wonderful but very different men hoping to claim more of her time and her heart--Jenna is busy. Busy, but happy. Even with her troublesome ex in the picture, life feels as close to perfect as she's ever known.Until the weather turns her festival into a farce. Suddenly Mother Nature is not only raining on Jenna's parade, the old bat's trying to blow the floats and their princesses out to sea. Soon everyone is without power and the road out of town is blocked. And Jenna has a full motel.After the generator conks out, she's not so sure she and her guests will make it through to the New Year in one piece. But with a little pulling together and a lot of holiday spirit, everyone might find that life--and Christmas--is always good at the beach.